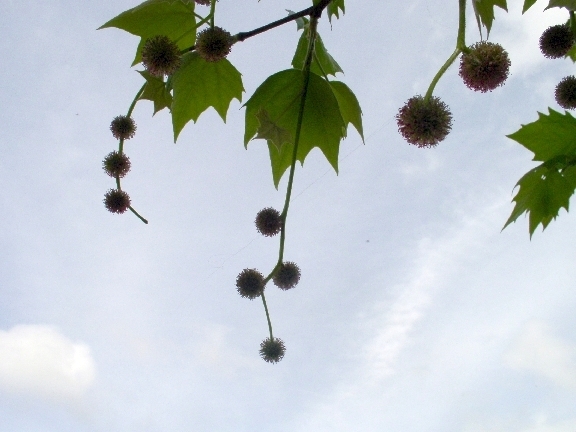 Platanus X acerifolia.Jens-Uwe Voss.www.badische-zeitung.de. (Accessed 8/2014). Platanus x hybrida is a tree similar to P. occidentalis but under-bark is yellowish to olive, not white, external bark is brownish to greenish, smooth, peeling in patches to reveal under-bark, young stems densely brown-wooly. Leaves essentially hairless when mature, 3-5 lobed, middle lobe about as long as wide, sinuses to about 1/3 length of blade. Flowers in round clusters, female flower clusters in pairs. Platanus x hybrida.ecosociosystemes.fr (Accessed 3/2016). Fruit paired each on a long stem from a common origin, not single (Dirr 1990; Rehder 1986). Hybrid of P. orientalis with P. occidentalis. Frequency in New York City: Uncommon (in natural areas). Habitat: Escaping from cultivation occasionally. Very common street and park tree. Resistant to air pollution. A host tree of the Asian longhorn beetle, Anoplophora glabripennis (see Norway maple). Defoliated by anthracnose caused by the fungus Apiognomonia veneta, causes loss of leaves in spring but regrowth usually occurs later in season. 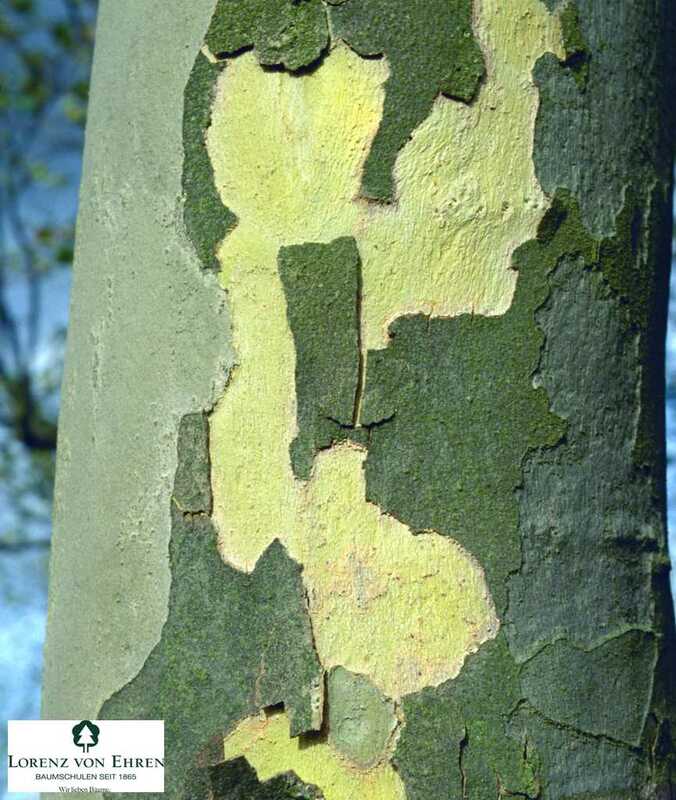 Also subject to canker-stain caused by the fungus Ceratocystis fimbriata, causes death of foliage, stems and sapwood. Spores probably transmitted by insects (Burns and Honkala 1990; Sinclair et al. 1987).